Funny fact which you won't believe most likely-after you start exercising and a healthy diet which includes vegetables, meat and some good fats, you will find fast food and greasy products such as burgers, pizza and cheesy stuff quite unpleasant and you would avoid them even when you are hungry. You can still eat delicious food but live 15 years more, it's up to you of course. Giving your body something that kills it every day is not an "amazing life experience", you just don't have any self control over what you eat and prefer the easy way. It comes with a price and saying "you only live once" is a lame excuse which you use to lie to yourself. Ps. This is more for the general public, not you personally. I assume you smoke as well then despite the facts? so does just about everything. Rather enjoy the life I have and experience some life experiences than leave a well preserved corpse and be a miserable git for my entire life. Can anyone tell me if this includes a outdoor cover to protect during the winter season ? 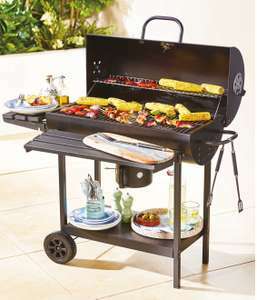 I have this bbq set.....very good albeit a little on the flimsy side but does the job so can't complain. Typical. Someone goes out of their way to list one they’ve found cheaper. Feel free to correct my spelling or grammar. Stick the box in the bun, the cardboard will be thicker and have more taste. They taste ok for the money. We can’t all afford Angus beef. Never miss a 'BBQs and Grills' deal again! Lol could well be, having mine delivered so will see. 2 burner gas BBQ with side burner. Great price and in stock for free delivery. Price includes automatic 15% off. Same price amazon. Reviews are generally awful. Bargain! Thanks for letting us know your tips and the pictures - love to see "real" pictures. Great tip about the lights too - I will be on the lookout for some lights next as my little boy decided our frog solar lights wanted to be "live" in the water feature thing and now has croaked it! Iron sulphate from wilko. Dissolve in Luke warm water and apply at 5g per sqm. Apply now. Weedol lawn for weed killer. Apply in May. Steaks are shocking there, wouldn't pay anything for one. Can get a top quality steak for about £9 locally, much better choice. It is a cheap deal but please be aware the cuts they use are awful, pay a bit more for a descent steak. Bargain, especially if you drink tap water .. The ones I had had good length cables. I always loved that skit by Not the nine o'clock news on audiophiles. Reminds me of someone here. Great sound but I don't find any of the ear buds comfortable and the cable is too short (unless you're prepared to wear an armband phone holder in the gym). They've become an expensive hands free kit mainly for me. I got one last year and love it. I have had no issues and I've not had to buy any accessories but I believe you can buy via Hacienda. Just start off with forgiving food like chicken and burgers, then move onto pulled pork -brisket is a whole new skill, especially if you use British/Irish grass fed beef. It's very economical with charcoal but if you're going searing temps remember to fill the fire box. how well packaged does it come? in a plywood box on a pallet? As people said before it sounds like this is a rebranded Al Hacienda. Someone mentioned this is the equivalent to the large model however when comparing the specs it matches the medium (smallest) Can anyone clarify please. Thanks in advance. Weber’s is 34cm diameter, this is 33cm. Picture on amazon shows it in what looks like a Weber - I reckon it’ll fit. I’ve ordered. Really good price. They are shifting the previous year version because the new one with the hinged lid lid, heat plate, and P shaped vents. Personally I think this model is the better one, many people have issues with the new lid (tip: put the lid on then tighten the nuts) and the heat plate and P vents are only worthwhile if you are serious about smoking. Before buying one of these though think about the space needed and whether you would actually use the GBS system. If not, the 47cm version would probably be a better RRP buy. Go for the 'Original' if you want want to try a bit of smoking (also purchase a hinged grate £32). If you just want to do burgers, sausages, chicken pieces, fish and veg, then the 47cm Compact would be perfect. Experience: I own a 47cm Original and a 57cm Limited Edition. Forgot to say, if that £149 price ever pops up again - BUY IT. Do not even think about it!! Worked today Croydon. 13 in stock (I asked). Includes seargrate. Costco had these on the website until last week as have been this price since January - £199.99 with free deivery. But they sold out online so removed the item. In-store only now. found this hellmans chilli bbq sauce in my local poundstretcher. Must be a slow deal day. How many deals you posting for poundstrecher Great Yarmouth ? When the winter chill departs and the sun breaks through, Brits don't tend to think about sunbathing, cricket, or mowing the lawn. Instead, their first instinct is often to fire up a BBQ grill, invite some friends, and share a barbecue feast. But how do you select the right grill or oven for your culinary needs? If you're looking to buy a barbeque, don't worry. We'll help you find a compact version for holidays, or a deluxe monster that will dominate your patio. We'll even have a look at specialist outdoor ovens for dishes like pizza. So whatever you love to devour, this hotukdeals buyers guide will be an essential resource. There's nothing new about the urge to grill food outdoors for group consumption. In fact, using grill pits is one of the oldest British cooking methods, and archaeologists have uncovered feast sites from over ten thousand years ago. It looks like we've been mixing charcoal and fresh meat for generations in the quest for the most succulent, satisfying summer eats. Modern barbecue took shape after the Spanish invasion of the Americas in the 15th and 16th centuries. Hence, the word is actually a corruption of “barbacoa”, a term used by the Arawak peoples of the Caribbean to describe their cookery processes. Apparently, the Spanish were wowed by the site of indigenous people using wooden griddles placed above charcoal fires, which allowed them to “flame grill” meat in a way that Europeans had forgotten. In the 18th and 19th centuries, the technique was taken further by Americans, as they developed signature styles associated with states like Texas. Instead of traditional grilling, which uses high heat to quickly cook meat dishes, these styles employed smoke and flame (often using specific wood to create the right aroma), and cooked meat more slowly. That way, the scent and taste of the smoke could fuse with the meat to create delicious results. Our modern outdoor grills aren't very different. Most of the time, British BBQs will simply apply heat as gently as the chef desires. When combined with marinades and a little timing, it's an incredible way to cater for summer parties. And when you do, raise a glass to the Arawaks and Tainos of the Caribbean, without whom, we probably wouldn't be tucking into ribs, wings, steaks, and chops. 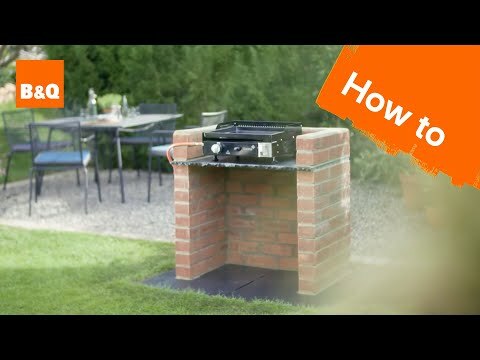 Standard Gas BBQ – These ovens tend to come in self-contained units, and require connection to a pressurised gas cylinder. The gas is piped into burners on the stove, which apply a constant, easily controllable dose of heat to the grill platform above. Gas grills take almost no time to reach optimal heat, and can be switched on in an instant, so they are great for lazy cooks. And they don't necessarily miss out on flavoursome smoke. The integration of “flavourisers” above the burners creates something resembling BBQ charcoal smoke, imparting that irresistible, classic taste. Standard Charcoal – Often coming in the form of a “bowl”, with a few slender legs attached, these grills are usually far smaller and more portable than their gas-based equivalents. They tend to use charcoal to impart heat and smoke, which is placed below the grill surface. This metallic grill can be raised or lowered to change heat settings, which is quick and convenient, but not as precise as gas alternatives. 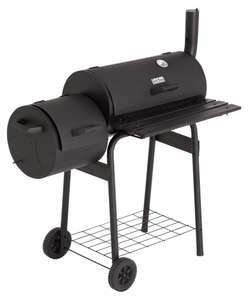 BBQ Smoker – You may also see a category called “smokers.” These tend to be barrel-shaped grills which use charcoal fuel. The idea is to use aromatic wood smoke, which circulates around the meat inside the container, slowly cooking it and locking in the wood's flavours. This creates a much “smokier” flavour (hence the name), but can be a more challenging way to cook for less experienced chefs. Stone – Technically not a separate category, but definitely an important buying option, masonry ovens are becoming increasingly popular with British homeowners. Solidly built, impressive, and often quite large, they will last for decades and make a great ornamental addition to outdoor spaces, but the price tag isn't small. Pizza Oven – Some people might not even be interested in sizzling steaks and wings. If your outdoor cooking tastes are more about salami and pineapple than Texas marinade, a pizza oven could be the ideal investment. Generally wood-fired, these ovens should be large enough to accommodate sizeable pizzas, but light enough to move around as required (unless you go for a static option, which will raise costs considerably). Additionally, you'll probably see listings for disposable grills. These products are popular with holidaymakers and party organisers who don't want to invest in a full-blown oven. Instead, they feature foil packaging and pre-packed charcoal, with an integrated grill. Everyone should have a few packs in storage for the summer season, if only to handle occasions when your main grill can't handle demand. Size – When purchasing an outdoor grill oven, size matters. If you intend to cater for 20 people, be prepared to spend a little more on a large, multi-level design. That way, you can avoid annoying delays as guests wait for their wings. Also, think about what you'll be cooking on your grill. If you are only likely to be grilling smaller items like sausages, wings, or ribs, you may be able to get away with a smaller variety. But if you're tempted by hog roasts, you'll need a behemoth. Warming racks – You don't necessarily need a spacious warming rack (placed above the main grill to keep food nice and warm as other items are cooked). However, if you habitually cook for larger parties, this is an extra that has to be included. Hoods – Not all models come with hoods as part of the design, but they tend to be valued by users. For one thing, a well made hood will shield food and coals from the elements – which can be a life-saver in the British climate. Hoods also make it easier to control the heat generated by your grill, which should make it easier to cook your meat all the way through. Mobility – Not everyone will need a mobile grill, but if you are pushed for space then a wheeled variety is definitely advisable. Wheeled BBQs tend to be on the smaller side, though they can get pretty spacious, and they make it much easier to store and position your grill, so they aren't a minor feature. Then again, if you know you'll be barbecuing on a weekly basis throughout the summer, a fixed-position deluxe model will last longer and probably deliver better results. Burners – If you opt for a gas variety, how many burners should you choose? Generally speaking, gas grills will come with 2-3 burners but could feature more than that. The beauty of multiple burners is that you can create a chain of heat for food as it transitions from cooking to warming. That way, it's much easier to ensure that everyone's meal is piping hot, and the production line doesn't seize up. Flexible cooking surfaces – Most of the time, barbecues come with standard grills as the primary cooking surface. That's great for larger cuts of meat or mushrooms, but it can cause smaller or more friable forms of food to fall through the gaps. So you may want to opt for a model which mixes up wide grills with griddles and other surfaces. That way, you can easily grill halloumi cheese or shellfish without losing any in the process. Price – After you've taken the above factors into consideration (not before), start thinking about how much you are willing to pay. Whatever specifications you need from your grill, you'll encounter a wide spectrum of prices, with lower-quality budget models and premium brands (see below) all vying for attention. As a rule, the best cooking quality will be obtained from premium products, but prices of deluxe gas and charcoal models can become prohibitive. 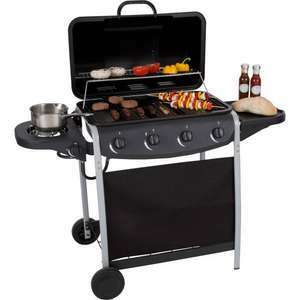 But if you check hotukdeals before buying, you'll be surprised by how affordable even top of the line BBQs can be. Gas vs Charcoal: Which is Better? We've touched on this already, but as this is most likely to be your major consideration, it's worth returning quickly to the issue of gas versus charcoal. Outdoor chefs can get pretty passionate about this question, and with good reason. Each has its advantages and drawbacks, and will suit different styles of cooking. Firstly, in terms of price, gas tends to be more expensive. Gas grills are usually hefty stand-alone appliances with safety features and custom options that make them more complex than their charcoal-based cousins. That alone can put them out of some peoples' reach, so check the cheapest gas grills at hotukdeals to ensure they are within your budget. Secondly, gas grills are quicker to operate than charcoal alternatives. Burners can be engaged in seconds, and modulated to provide exactly the right amount of heat, just where it's needed. That's a great feature for novice chefs who aren't confident about mastering charcoal. Some people also feel that gas barbecues are slightly safer than charcoal versions. Partly, that's due to the physical proximity of flames and hot coals. But some self-lighting coals can also be impregnated with toxins. However, if you avoid those varieties, charcoal probably isn't more harmful than gas overall. 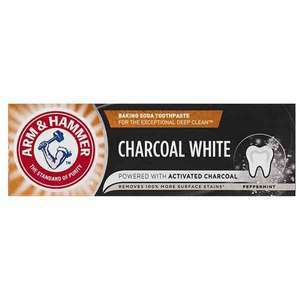 All of those things count against charcoal, there's no denying it. However, one major issue tends to dent the reputation of gas grills: flavour. As any Texan or Aussie barbie fan will attest, flame and smoke is essential to achieving the right blend of tastes, and that's not easy to do with gas-only grills. Charcoal barbecues can use specialist woods like hickory, and cook food more slowly, locking in rich flavours and smells. So they are favoured by connoisseurs and grilling obsessives, and with good reason. So, the choice comes down to a few things. If you only prize convenience, gas will be easily the best way to go. But if you privilege aroma and taste above all else, you may want to invest in a high-quality charcoal model. As we mentioned earlier, it's essential to choose charcoal that's a) safe to use and b) imparts the correct aroma and taste to your food. This can be daunting for newbie outdoor chefs, who might just reach for the cheapest coals from their local supermarket. However, that's not always a good idea. Broadly speaking, charcoal comes in two forms: lump charcoal and briquettes. 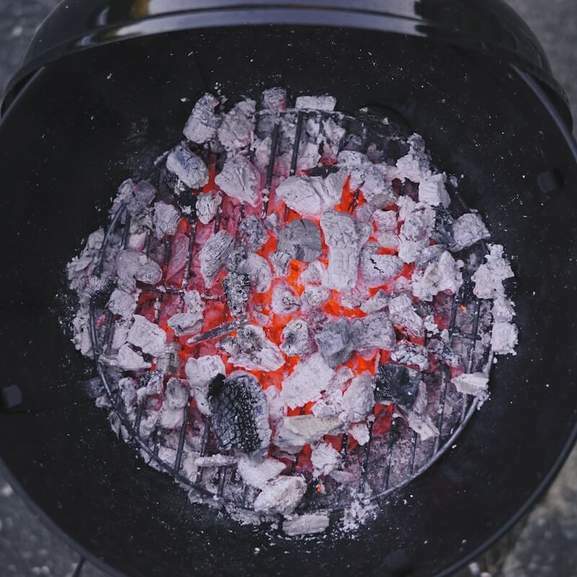 As the name suggests, lump charcoal is formed from pure coals, and leaves very little ash deposit on your grill's surface. It burns quickly, generating plenty of heat, and will usually be relatively free of chemicals. Briquettes look more like bricks, and are often formed from waste wood that's been chemically bonded together. They won't produce instant, high heat levels, but burn for much longer (handy for all-day get-togethers). Then again, the chemicals in briquettes can be harmful, so try to find non-toxic versions. Self-lighting coals are usually to be avoided. They might sound convenient, but the reason they are able to light so easily is because they are coated in chemicals, which could well be carcinogenic. It's also worth noting that briquettes won't produce as much smoke as charcoal lumps. Why is this important? Well, some people actually prefer to retain the pure taste of the meat they cook, and don't desire the smokiness imparted by charcoal. In that case, wood-based briquettes could be preferable. Landmann – Based in Germany, Landmann styles itself as “Europe's leading BBQ brand”. Capable of delivering precise temperature levels, and engineered to last, these ovens are cutting edge as far as barbecues are concerned. Weber – Also known as Weber-Stephen, this US brand can be found in yards across the Deep South, and it's making waves in the UK as well. Napoleon – Another American market leader, Napoleon specialises in charcoal grills. Its Prestige, Rogue, and Lex series are as luxurious as outdoor ovens can be. Outback – Inspired by Australia, Outback's grills can be found at UK merchants like Homebase and B&Q. The brand offers charcoal and gas-powered varieties, as well as handy portable models that travellers will adore. Big Green Egg – British company BGE focuses on manufacturing ceramic charcoal models. Why ceramic? The thermal properties of ceramics allow these egg-shaped ovens to trap heat efficiently, ensuring even results and classic flame-grilled tastes. Hoods – Not all BBQs come with hoods as part of the original product, but everyone should have one on their range. A good hood will help to protect your grill from the weather and ensure even temperatures across the whole surface. Propane canisters – If you opt for a gas grill, don't be stuck without the fuel required to get your party started. Instead, it always makes sense to have a stash of propane cylinders in your garage, ready for all eventualities. Gazebos and awnings – Nobody wants their cook-out to be ruined by bad weather. A free-standing gazebo can provide an insurance policy, providing a protected space to store utensils and food before and after cooking – no to mention the grill itself. Utensils – Having a few tongs and spatulas is vital to ensuring that meat and veggie food is kept separate, and that you can cook everything to perfection. Skewers, trays, paper plates and napkins all play their part as well. Don't skimp on utensils – the more the merrier is usually a good rule for BBQs. Cleaning products – Whatever style of oven you choose, you'll need to keep it clean, and that can be a challenge without the right tools. Wire brushes and scrapers from brands like Weber should help you get the job done, and cleaning solutions are also available. It's well worth taking time to clean your grill after use, not just for hygiene reasons, but to extend its life and ensure delicious results on its next outing. 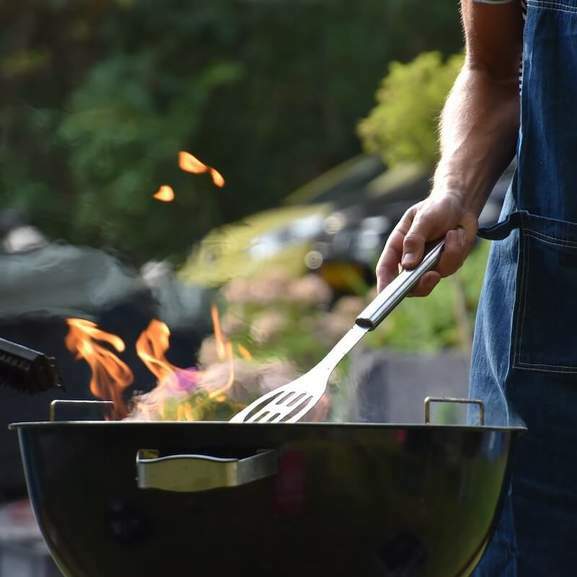 Whether you're craving a vegetarian BBQ with mountains of halloumi, mushroom, red peppers, and grilled tomatoes, or you can't wait to get your teeth into some pulled pork, we can help you find the perfect BBQ Grill and BBQ Food on our dedicated listings. However, it's easy to spend more than you need to when buying barbecues. After all, they can be an expensive investment, especially at the higher end of the market. But with hotukdeals, your spending can be as efficient as the way you cook your next batch of chicken wings. Before checking for deals, make sure you know what you are looking for. Decide whether you want a smoker, standard gas or charcoal version (or even a pizza oven). Settle on a size that works for you, and have a few brands in mind. Hopefully the information in this buyer's guide will point you in the right direction. Then, dive into the hotukdeals listings to find a great deal. Our listings feature major brands like Napoleon and Weber, as well as the biggest UK merchants, from Homebase and John Lewis, to Amazon and B&Q. When discounts appear, you'll find them listed here. If you want to purchase a truly bargain grill, it may also be worth waiting for sale events. 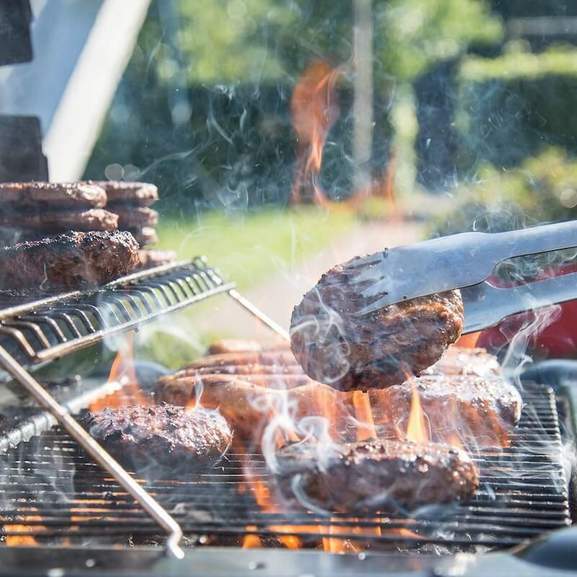 Generally speaking, prices for BBQs will be fairly low in winter and as summer ends, although deals may also spike around major events like the World Cup or a Royal Wedding. And Black Friday in November can also see some appetising deals. 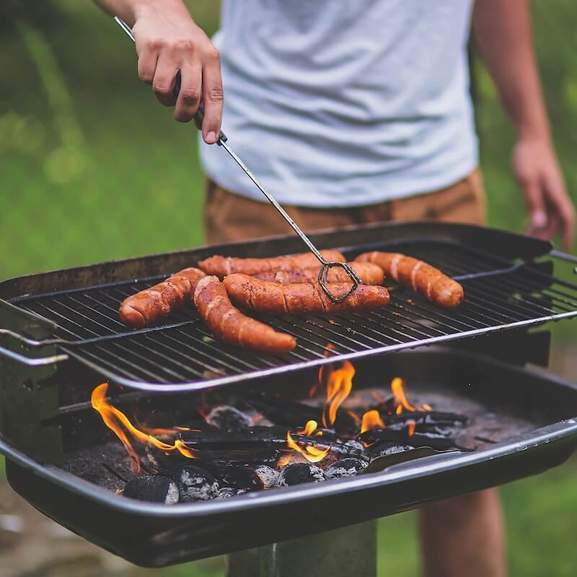 In any case, if you need to replace your outdoor grill and want to find the ideal product for less, be sure to head to the hotukdeals BBQ listings. A garden isn't complete without a barbecue, but which brand and style should you choose? 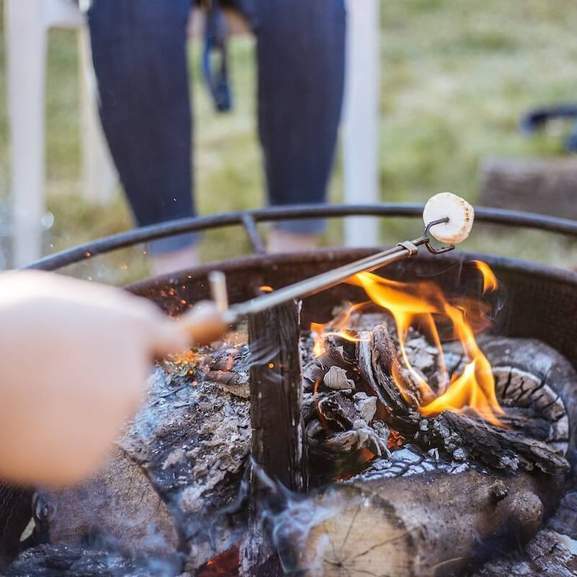 From gigantic gas ranges to portable travel models, from pizza stoves to innovative egg-shaped charcoal burners, the world of barbecues is surprisingly diverse. Whatever variety you choose, you'll find mouth-watering prices at hotukdeals.